Hi and welcome to this weeks Free Friday. Sometimes it's fun to get something for FREE. No shipping, catches or coupons needed. 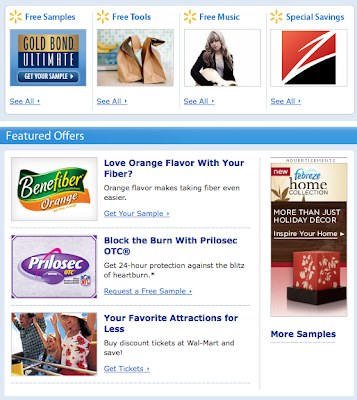 There are tons of things you can get for free or very cheap with coupons, but I don't list those here. I HATE coupons and rarely use them. I do like some coupons like Bed Bath and Beyond and coupon codes for 20% off the sale price at GAP, etc... I just don't like the 25 cent coupons combined with a sale to get a box of cereal for free. That just takes too much time and drives me crazy. I like to buy in bulk at Costco and the rest I get mostly organic at my local health food store, so I have no need for those types of coupons. So if you are looking for that sort of thing, you won't find it here on my blog. This weeks Free Friday is pretty much the same as last week. Not many good things to choose from right now (unless you are a coupon-sale hunter). If you find anything else, post a comment and I will add it. Home Depot has a free kids workshop on the first Saturday of every month between 9 am and noon. On Saturday, Feb. 6th they are making Car Displays. You have to sign up quickly for these because they fill up fast. My local Lowes always has extra kits and we are able to make them without signing up. 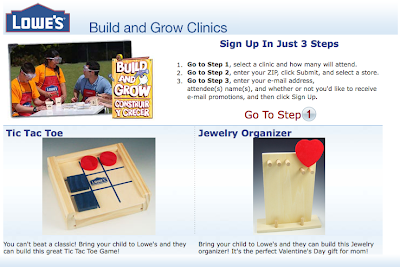 Check with your Local Lowes if you are not able to sign up online Along with the free kit, your child will also get an apron, goggles and a patch. 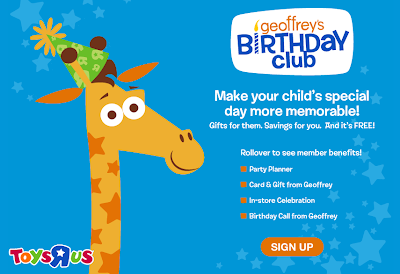 Every year until your child is ten, you will receive a party planner with a special offer, and a card and gift from Geoffrey. When you take them to Toys R Us your child will receive a paper birthday crown and a Geoffrey balloon and an announcement over the intercom that a special birthday guest has arrived. My kids have been signed up for this for the last 5 years and it has become one of their favorite birthday traditions. FREE two-year subscription to LEGO Club Jr. I just found your blog and I love it. I plan on telling others about the great things you post on your site. Thanks so much for the info. Cute blot, have been a follower for some time, now also added you to my blogroll! I am so excited about the Lego Mag. I signed my son up for it! Thanks!